Global Strategists. Change Management. Business Agency. IT & Business Intelligence. Revenue Management. 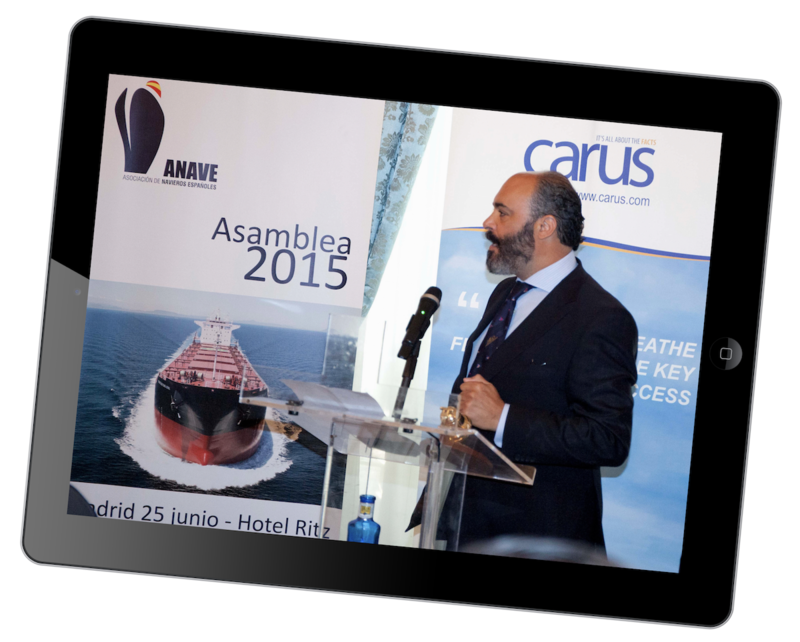 … your Expert Partner in Spain & Iberia, Western Med, and Latin America. 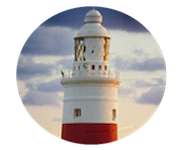 The Maritime Consulting Group is a leading BUSINESS and TECHNOLOGY Consultancy, specialised in the Shipping and Transport industry, focusing on Strategy and Management of Business Change, and efficiency-oriented to outcome and achieving Success ! Specialised in approach and implementation of Strategic Management Processes (SMP), definition and restructuring of Strategic Business Units (SBU), Managing Directors and Interim/Project Management for the maritime sector and Transportation industry. 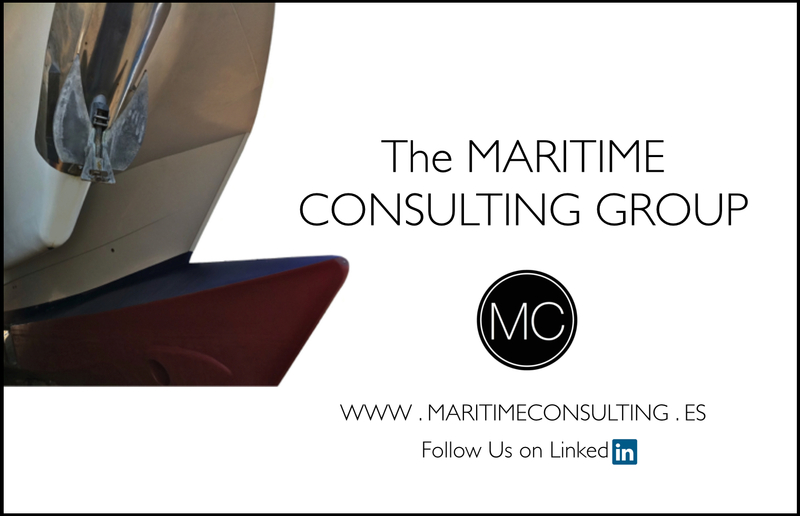 The Maritime Consulting Group joins a prestigious and selected team of independent experts in the respective professional areas: Founders, Managing Directors and Board Members of several transportation companies specialising in the transport of passengers and freight, as shipowners, ship agents, freight forwarders, and brokers. Hands-on experience of the supply chain and logistics, warehousing, distribution, and surface transport; the tourism sector, founded metropolitan and touristic maritime lines for passengers, managed the acquisition and merger of travel agencies; the technology sector providing leading and innovative IT and Business Intelligence solutions to the Passenger Vessel Industry; and the Strategic Consulting Business. Over 30 years of professional and business expertise with the industry best practices in the Transportation sector, having held senior managing positions in several groups and shipping corporations in Europe and overseas. The Maritime Consulting Group offers a comprehensive and highly specialized service to our clients, in order to optimize their transformation and business change, whatever their corporate objectives. Helping to transport companies and shipping corporations from the beginning, through our strategic proposal of innovation and growth, to discover and explore their Unique Selling Proposition -USP, understanding its true market positioning, with the most innovative management tools and strategic skills. Always focused on the reality of the business sector of transportation, to which we belong, and where we have over 30 years of professional activity, with the best practices in the industry. 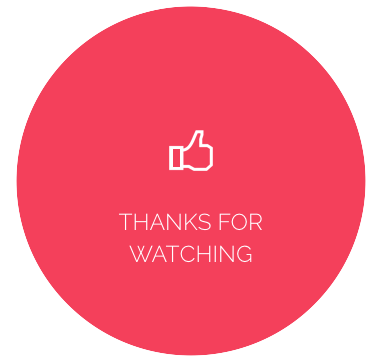 Providing added value and valuable knowledge and expertise in this regard, as well as professional relationships, a broad and specialized know-how & know-who in this sector, which is hard to find in other generalist consulting firms. Brand Positioning, Differentiation of products and services, market segmentation, the three pillars on which rests the reality of modern Strategic Marketing, must be defined and redefined, and placed in working order. From the simple restyling and strengthening of our brands to the Branding and Co-Branding; active media management, with creative actions of high impact and low cost; or the definition and development of Strategic Business Units (SBU); to the formulation and reformulation of Marketing Plans and Sales Actions, because without clearly and defined goals, the success is just a matter of luck… and failure just a question of time. Are just some of our strategic skills to achieve business success, also in our sector. Strategic Marketing tools that is necessary need to know how to deploy and combine effectively together, to reach tools and skills working for us. The Maritime Consulting Group can take care of the management and administration of maritime and transportation projects, with highly specialized, professional and expert systems approach for the Planning, Scheduling, and Controlling. Whether for long-term projects or Interim Management. 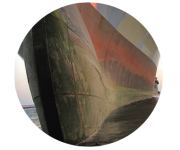 With over 30 years of professional experience in the industry of transportation, Maritime Consulting provides not only the accurate know-how and expertise, but thorough and deep knowledge of the industry and its prominent and relevant professionals, a broad portfolio business, with personal and professional contacts. What certainly is a wealth, expertise and know-who, decisive in achieving business success. Added value that can hardly be found in the market, or in other non-specialist and generalist consulting firms. That way Maritime Consulting remain a Boutique Firm, highly specialized and focused on the Transport sector. Our partner Carus Ferry and Carus Cruise offers specialized IT solution services for ferry operators. With expertise in sales systems, e-commerce, travel and transport booking, Carus will help you to make your business processes and your IT maintenance efficient and help you to get the right information at the right time out of your systems. Carus is present in 18 countries worldwide, providing service to 33 million passengers and over 5 million vehicles annually. Carus servers handles 2 million database transactions daily, and Carus integration servers receives over 500,000 SOAP requests per day. 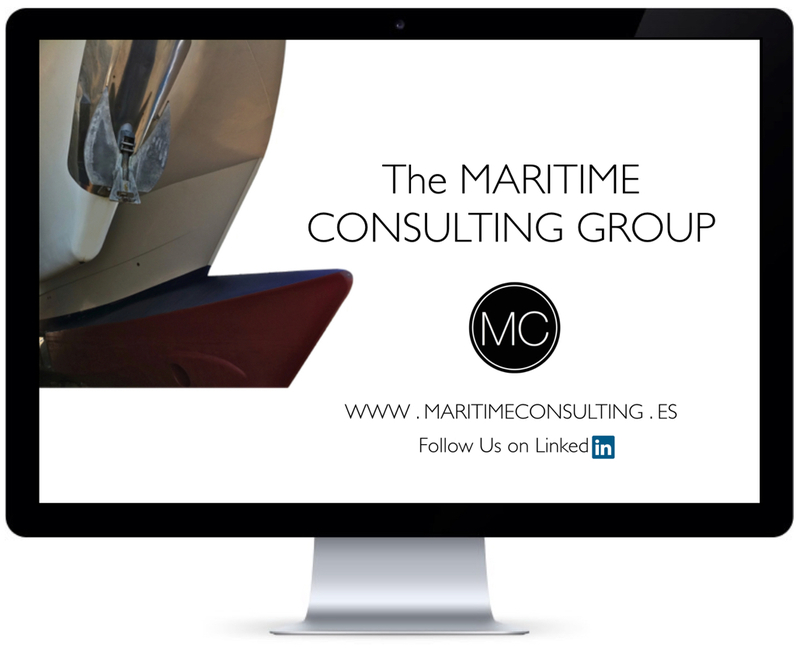 The Maritime Consulting Group offers a commercial office in Spain for Representation and Agency for services and maritime industry related products. We have a broad and recognized expertise and know-how / know-who in this market, enabling the proper completion and successful operations we represent. We serve suppliers in the maritime industry our extensive network of contacts and professional relations in Spain & Iberia, Western Med, and Latin America, allowing effective resources and strategies to achieve rapid business growth and consolidation of services and products represented in these markets. 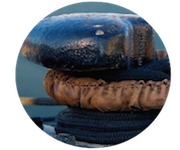 Agency and bespoke Representation on an exclusiveness per service/product basis, with the maritime sector and Transportation industry best practices. Our Skills: Success-Oriented, Problem-Solving, Reliability & Effectiveness, Network Organization. The Maritime Consulting Group joins a prestigious and selected team of independent experts in their respective professional areas, from every discipline within the Maritime sector and the Transportation industry, by providing advisory in all positions from CEO to CIO. 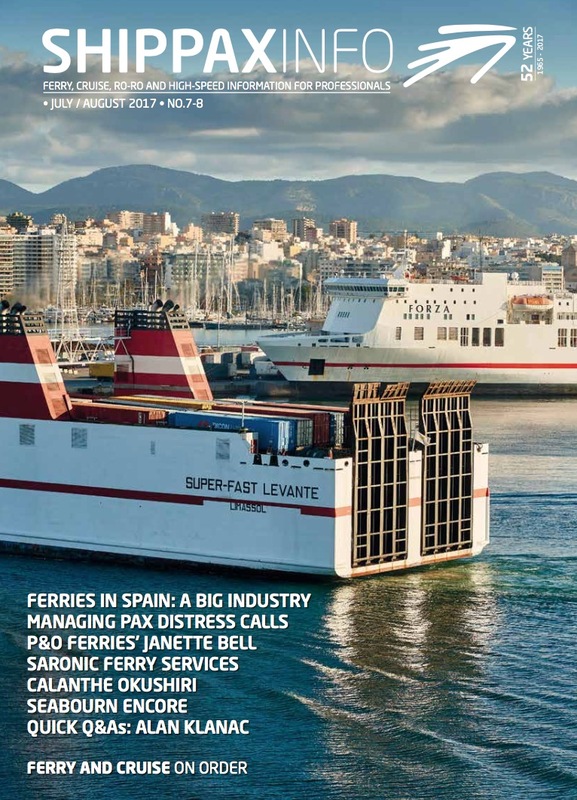 Over 30 years of professional and business expertise with the industry best practices in the Transportation sector, having held Senior Managing positions in several Groups and Shipping Corporations in Spain, Europe and overseas. From A to Z, and from CEO to CIO, yes we understand the Shipping Business. We are Founders, Managing Directors, Partners and Board Members of several companies related to the Transportation industry: Shipping business (passenger and cargo freight, as shipowners, ship agents, freight forwarders, and brokers); Logistics (warehousing, distribution, surface transport); the Tourism sector (metropolitan and touristic maritime lines for passengers, acquisition and management of travel agencies); and Strategic Consulting Business. 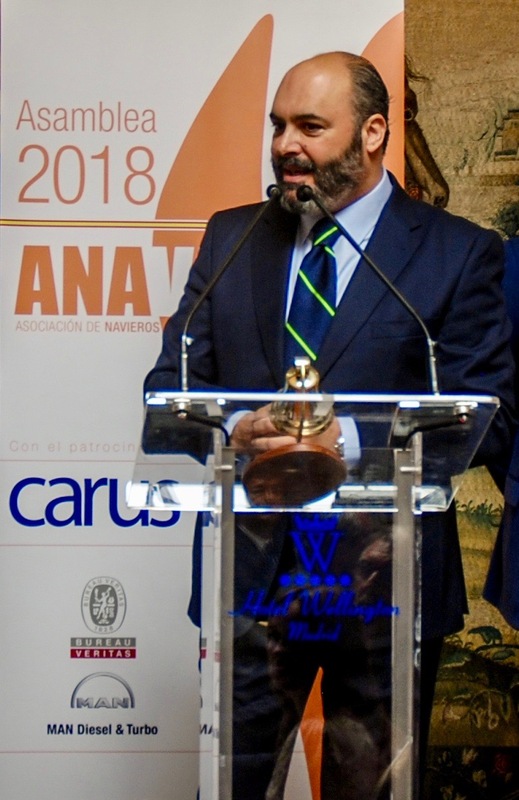 Ceremony of the Carus Excellence Award in the Hotel Ritz Madrid, during the General Assembly of the Spanish Shipowners’ Association (ANAVE). The Carus Excellence Award annually honors the outstanding professionals for the Excellence in the dedication to the maritime sector. 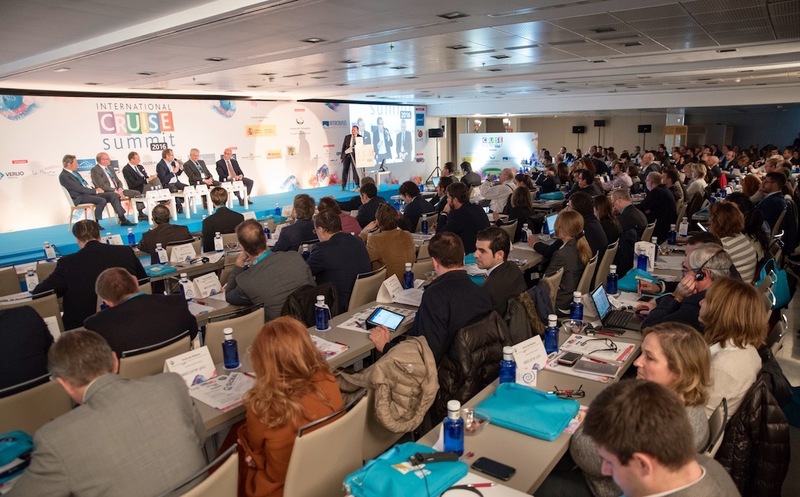 Over the years, the annual 2-day springtime onboard conference has established itself as probably the biggest and most important meeting place in the world for the Ferry Shipping Industry, with up to 400 ferry shipping executives. Seminars by renowned industry speakers cover relevant, current issues followed by interactive debate. Networking in a relaxed atmosphere. Onboard exhibitors. The conference was first held 2003. 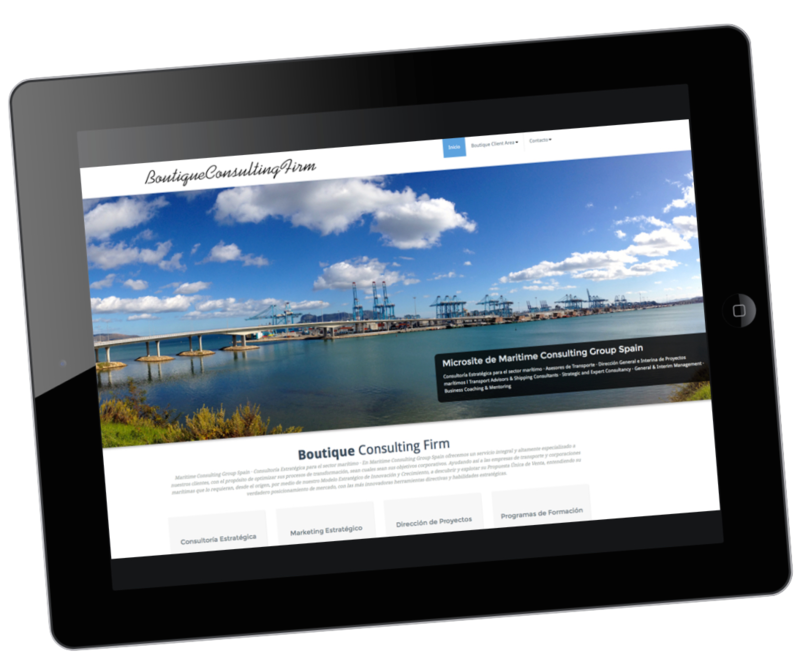 Founded and organized by Shippax and BOLT Consulting. The idea is to have a new host, i.e. meeeting on board a different ship each year. Therefore we are proud to announce that in 2016 the 14th Ferry Shipping Conference will take place on board Tallink Silja’s SILJA SYMPHONY, sailing between Stockholm – Helsinki – Stockholm, April 13-15, 2016. 400 delegates, including 40-50 ferry companies from all over the world, have been attending the conference over the years, to meet and discuss, in good as well as in challenging times. 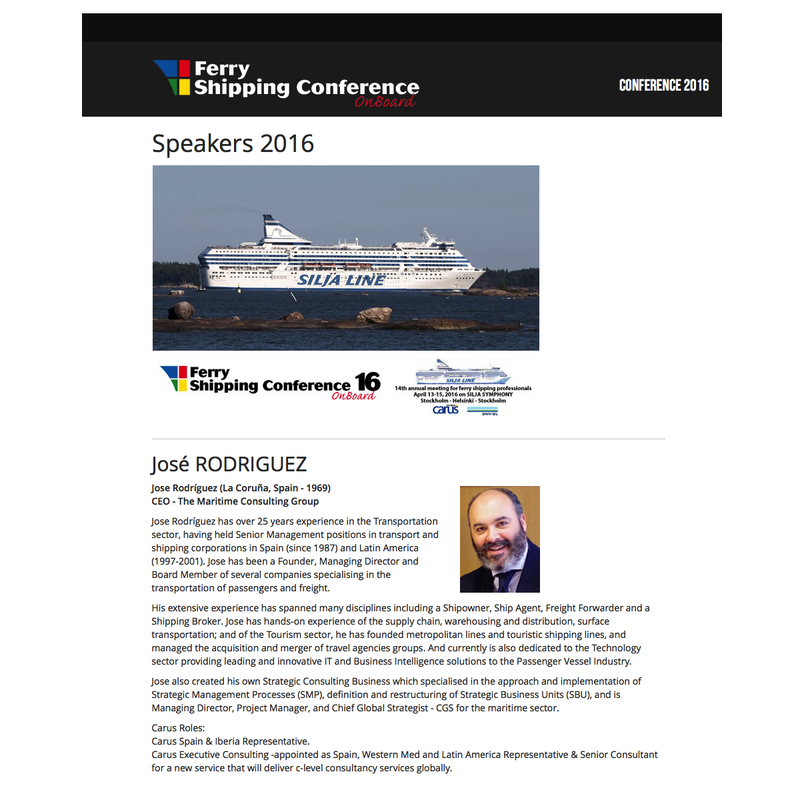 Our Founder & CEO Jose Rodriguez, Speaker at The Ferry Shipping Conference. It is with great pleasure we announce that the 2018 Shippax Ferry Conference, the 16th annual onboard ferry conference, will be held onboard the magnificent COLOR MAGIC, sailing between Oslo-Kiel-Oslo, April 18-20, 2018. Lead moderator at the event will be the popular ferry expert and Shippax Senior Advisor & Editor-in-Chief, Philippe Holthof. 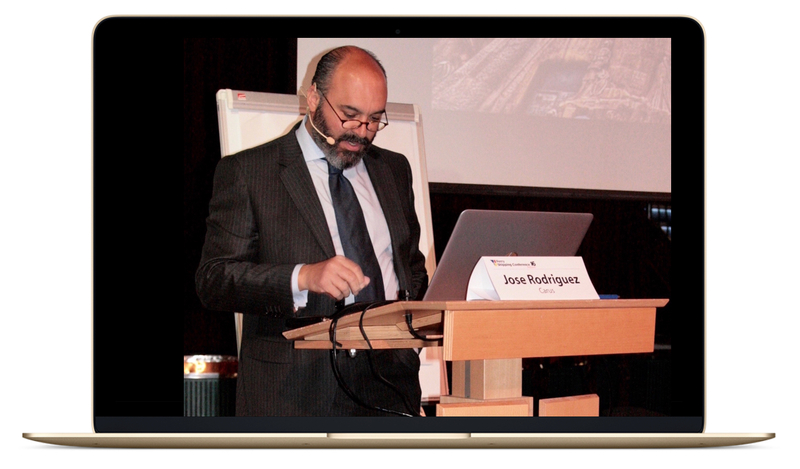 Our CEO Jose Rodríguez will be speaker again of the conference 2018. 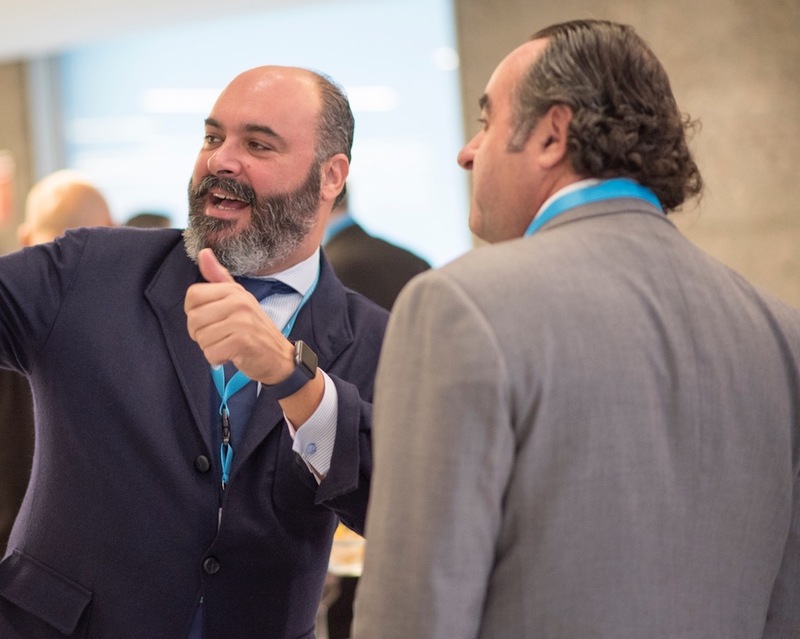 The two-day onboard ferry conference was first organized in 2003 and grows ever more popular with some 400 delegates from over 40 ferry companies from all over the world attending each year. Professional speakers and experts, captivating debates and best possible networking and exhibitions is what we offer. 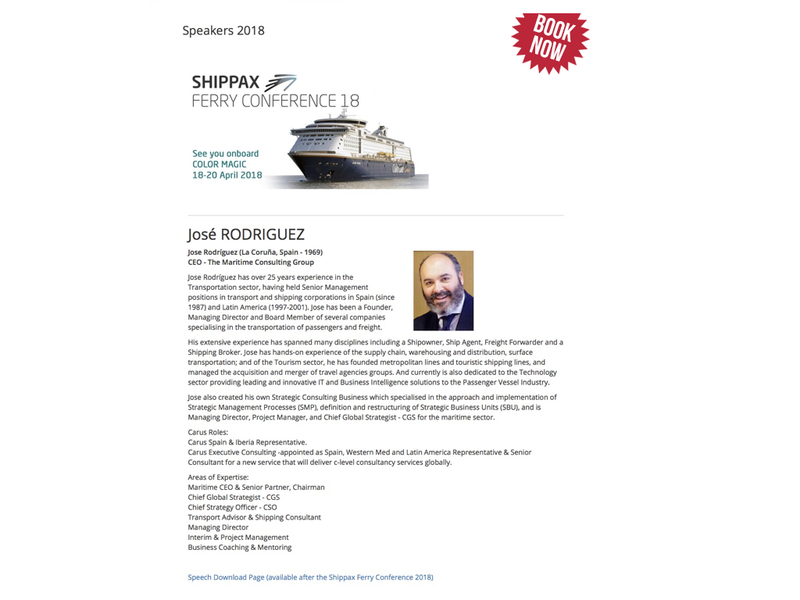 The conference is organized by the well renowned ferry publishing house Shippax and is held over two days onboard a ferry with professional speakers and experts, captivating debates and best possible networking and exhibitions. We offer a value for money policy with all events, meals, cabins and networking included in the price. Welcome to the ferry family ! 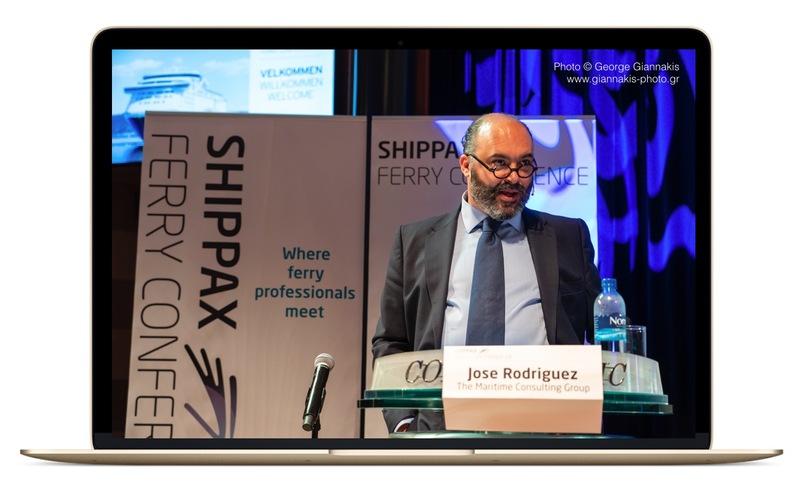 Our CEO Jose Rodriguez, Speaker at The Ferry Shipping Conference 2018. The ICS is a truly international event that attracts an average of 300 Spanish and international delegates every year. Since its inception in 2011 the event has been growing into one of the most recognized in the industry for addressing vital topics while discussing solutions to common challenges affecting our industry. 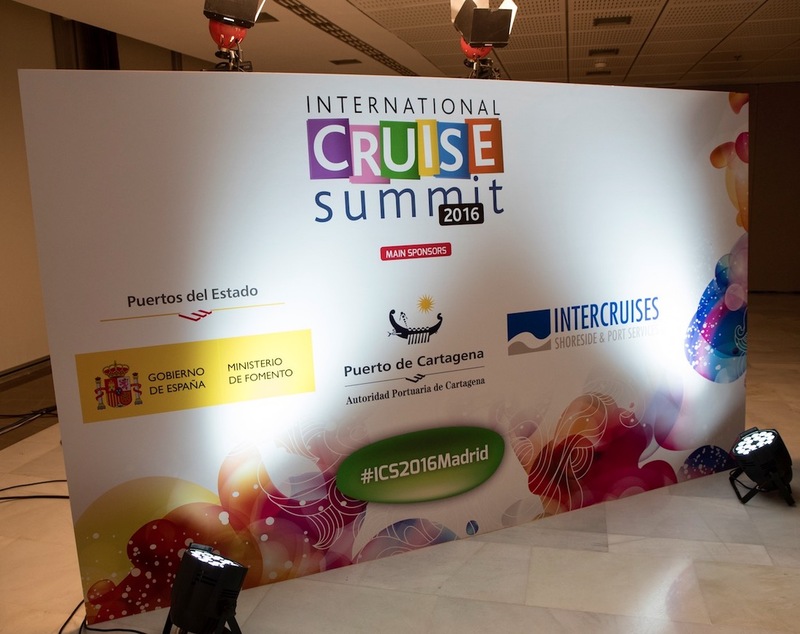 This is the only forum of global knowledge about the worldwide cruise industry to be held in Spain on annual basis. 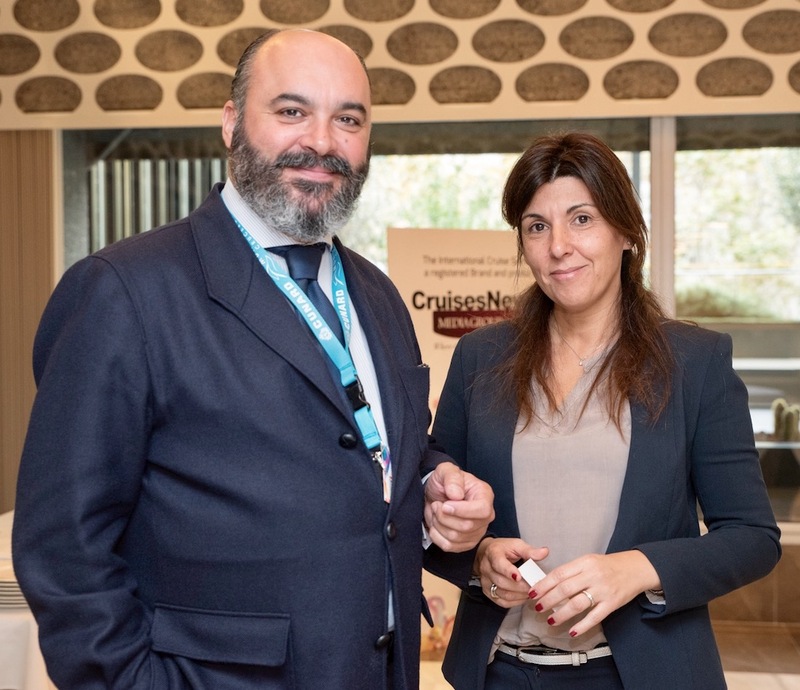 We are witnessing a significant increase in the cruise business at international level, and every year the industry demonstrates that it is one of the driving forces of the global tourism industry.